While several areas in and around Mumbai are inundated, the railway tracks are flooded, trains have come to a halt and road traffic is struggling to move an inch, there are Mumbaiites who are going online to inform people of the scenario and caution them. There are some who are also joking about it since neither Mumbai nor its dwellers are new to this yearly event, which almost seems planned. 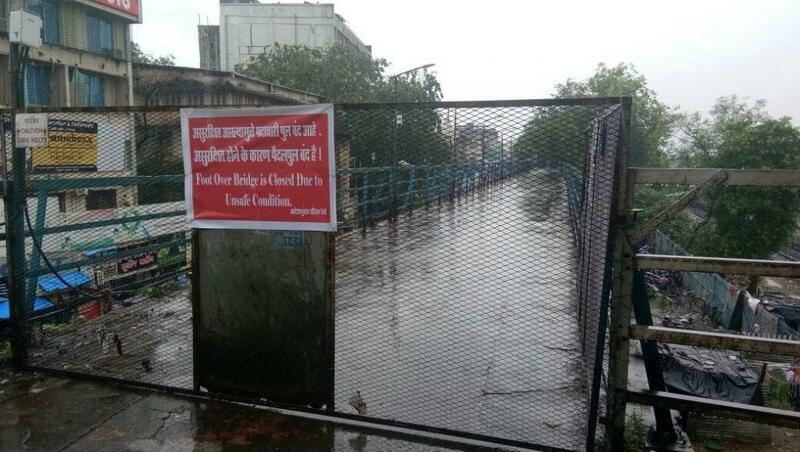 is not safe to use, as the condition of the bridge is really very bad and it may collapse anytime so plz take care.